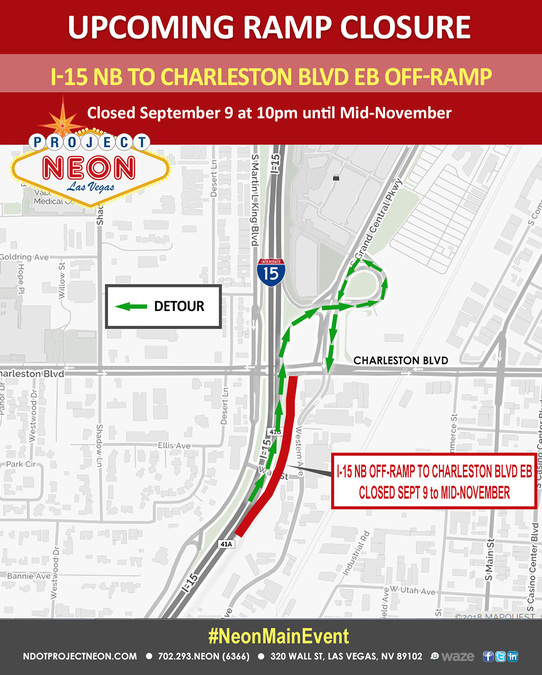 The northbound Interstate 15 offramp to eastbound Charleston Boulevard is also closing at 10 p.m., September 9, until mid-November in downtown Las Vegas. 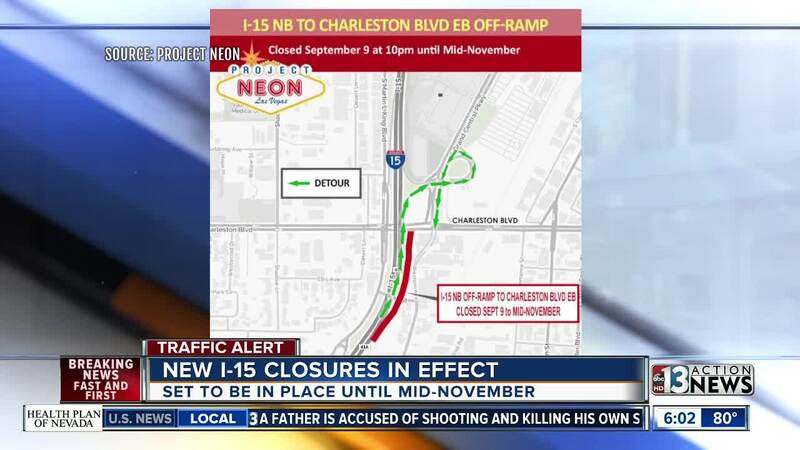 The closure is needed to reconstruct the Charleston Boulevard exit, creating a single seamless ramp instead of the current dual ramp configuration. 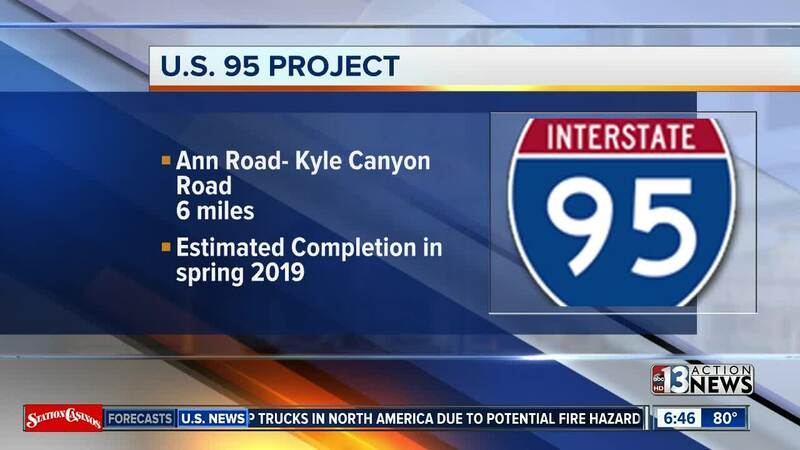 The Nevada Department of Transportation will close the southbound U.S. Highway 95 Durango Drive offramp from 6 a.m., September 9, until 9 p.m., October 9, in northwest Las Vegas. 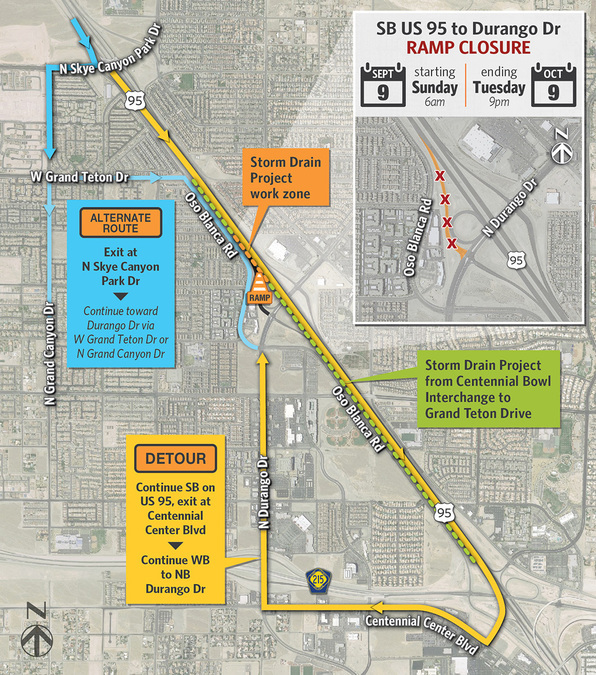 The temporary closure is needed for the installation of concrete box storm drainage under the ramp as part of a $78 million, 6-mile-long widening and upgrade to U.S. Highway 95 between Ann and Kyle Canyon roads that broke ground earlier this year.